Coolsys is the perfect tool for laser and medical treatments, especially when patients experience occasional discomfort due to an excessive heating of tissues. 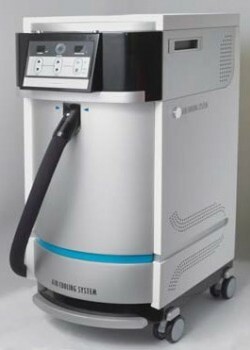 Such system enables the surface of the patient’s skin to be efficiently cooled, so that the effects of the laser treatment protocols or of other medical care can be minimised. It can also be used in a preventive way, for example just prior to treatment, as a light local anaesthetic into the patient’s skin. 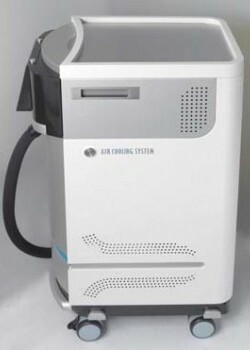 The Korean system COOLSYS is manufactured by IDS Laser (formerly DAESHIN Entreprise) and distributed by LCDLasers throughout France. Adverse skin reaction (heat effect susceptibility) is minimised when cold air is blasted onto the patient’s skin. It is acting, at the same time, as a powerful and safe analgesic. 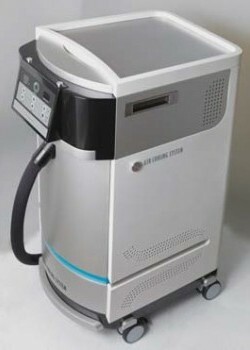 Coolsys is a stand-alone system. Simply plug the mains connector into a suitable wall socket. Once switched on the device is ready for use after a few seconds. The variable fan speed controller enables to maintain speed at a desired level; the hose and magnet nozzle allows to simply position the device on a metallic surface or to hold it with one’s hand.